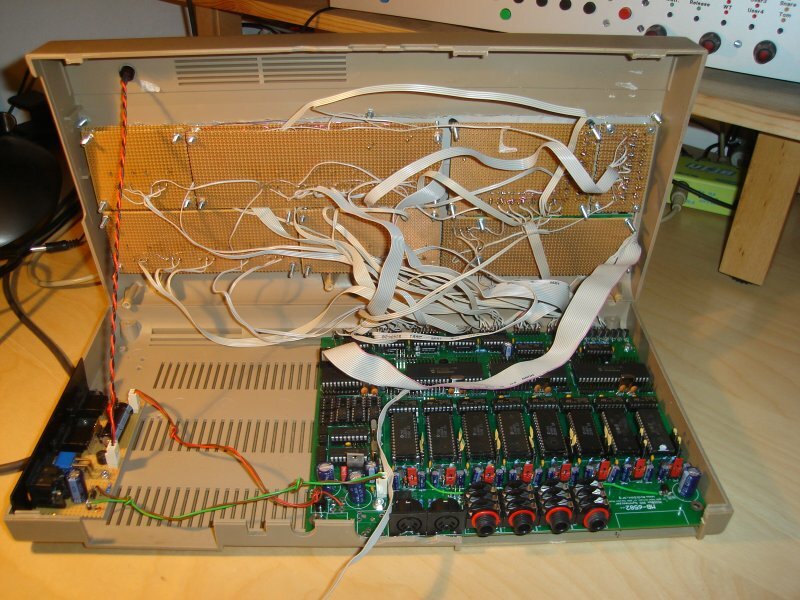 MIDIbox SID V2 Bassline Demo #3 c64 from Thorsten Klose on Vimeo. MIDIbox SID V2 Bassline Demo #5 from Thorsten Klose on Vimeo. sammichSID, MB-808, MIDIbox SEQ from Thorsten Klose on Vimeo. 2 DADDSRR envelopes sources with optional non-linear curve for Attack/Decay/Release. Positive/Negative (invertable) depth. Delayable. Different Loop Point configuration possible. 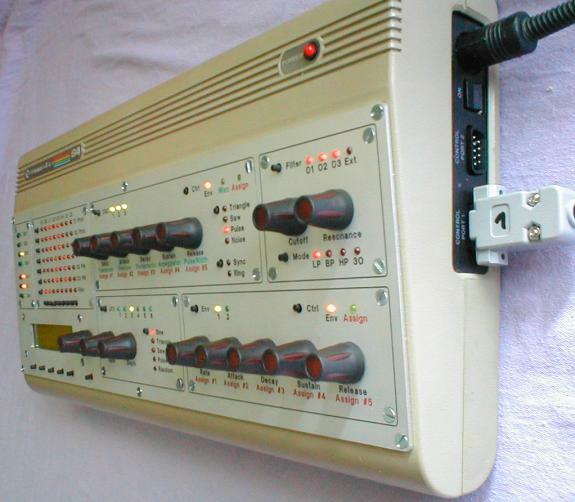 Synchable to MIDI Clock. Retriggerable via Trigger Matrix. 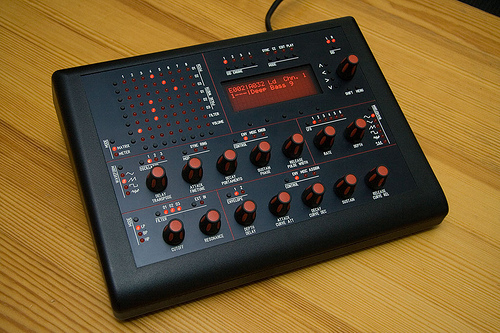 6 LFOs sources with different waveforms. Freerunning or synched. LFO Cross- and MIDI-Synchronisation possible via Trigger Matrix. Optional oneshot mode. Delayable. Selectable Phase. Positive/Negative (invertable) depth. Depth and Rate can be modulated via Modulation Matrix. 6 independent Arpeggiators with various direction modes, variable octave range and gatelength. Optional oneshot mode and "constant cycle" time. 4 independent Wavetable Sequencers with access to a 128 step memory, assignable to different sound parameters (also usable as sequencer for complex arpeggiator textures). Loop or Oneshot function. Wavetable position can be modulated from any source (e.g. Key Number, Velocity, ModWheel, Envelope, LFO, ...) via Modulation matrix. Step position can be incremented/reset via Trigger Matrix. Detune function which affects all 6 oscillators (stereo configuration)) with a single parameter for fat sounds! Lead engines, running on multiple cores, can be combined to a "superpoly mode"
One master and two slave oscillators with different waveforms/octave transpose/sync/ringmod/static note/detune/variable phase offset! get control over up to 8 SID chips with 4 PIC18F4685 cores! control your analog synths from the mighty sound engine! Details about the MIDIbox SID V2 project are documented in the User Manual!